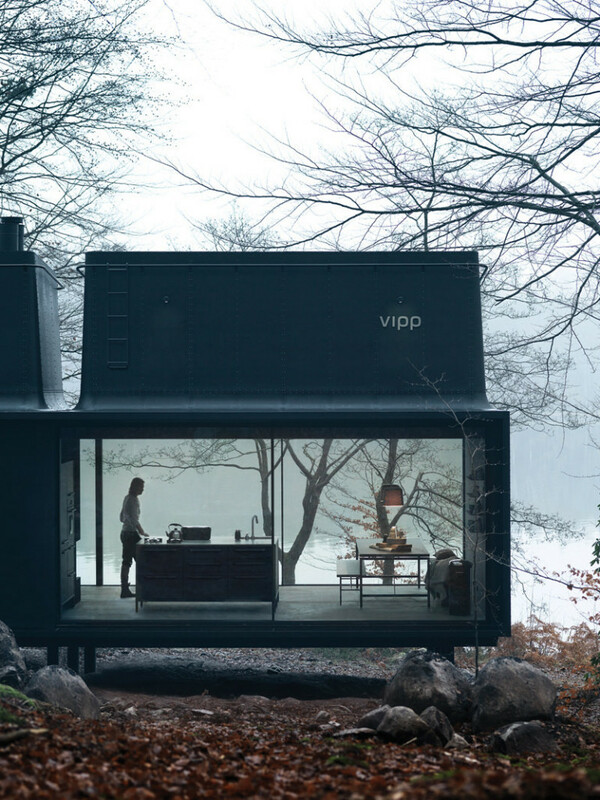 Vipp started out designing their iconic rubbish bins, and have since moved onto vessels of a completely different magnitude. 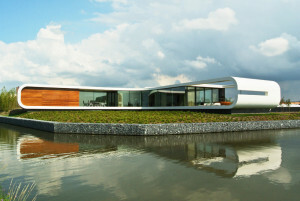 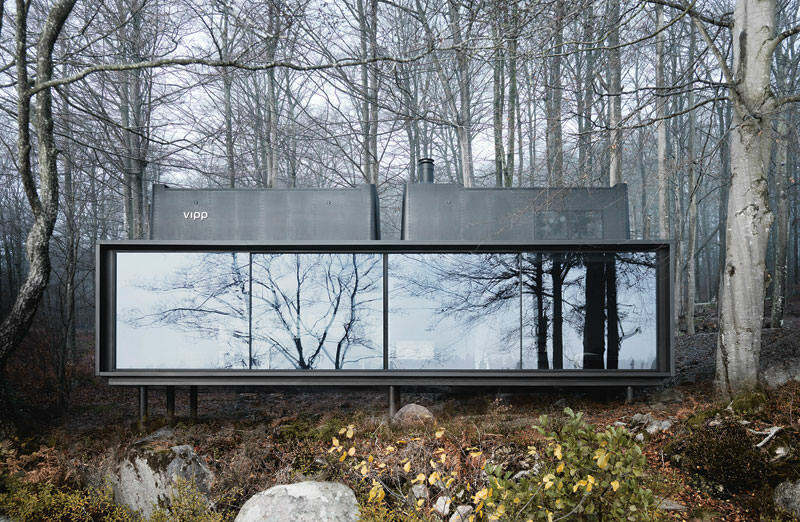 The Vipp Shelter is their first venture into prefabricated dwellings, and with 55m² floor space coupled with a high-end construction, is a rather unique proposition. 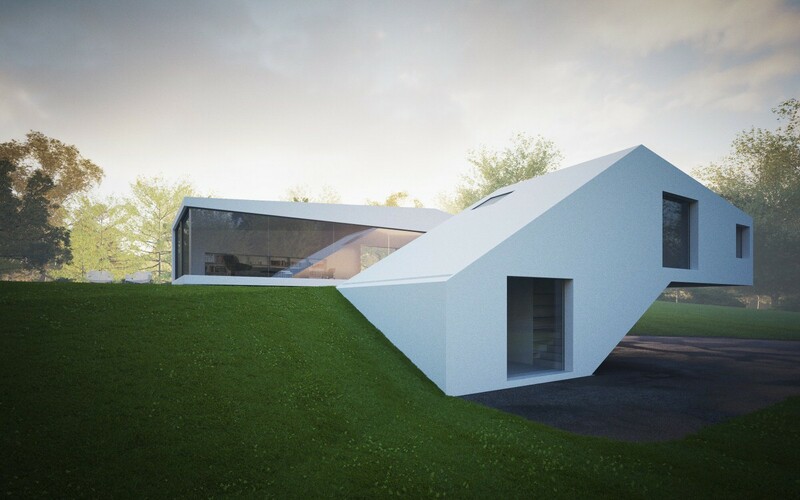 The largely rectilinear volume features two protrusions from its flat roof, one of which houses a loft bedroom, while the other is merely a skylight. 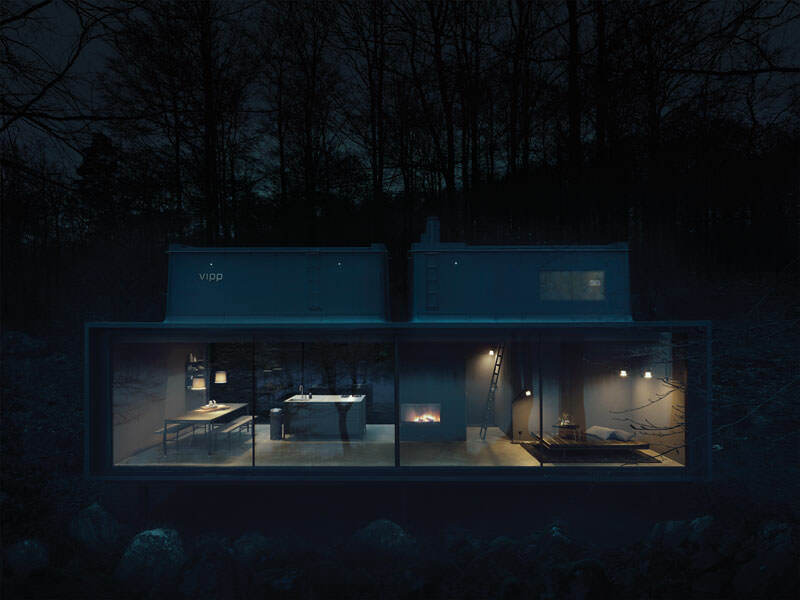 It’d be pretty neat if both of these could house sleeping spaces, but unlike most prefabricated structures on the market, Vipp’s Shelter offers no options for customisation at this stage. 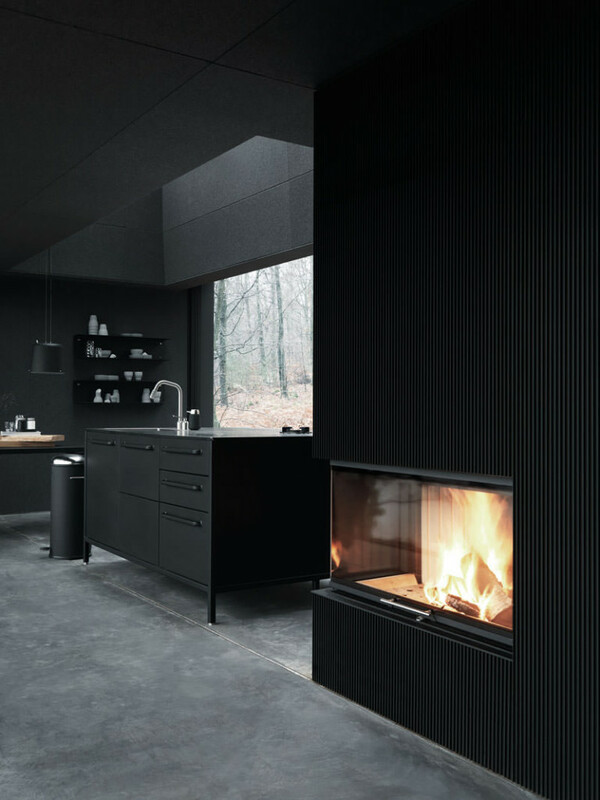 ‘You can have any colour you like as long as it’s black’ as the old adage goes, and if you were hoping for a 2 bedroom retreat, or just about any other variation, then that’s off the cards at this stage. 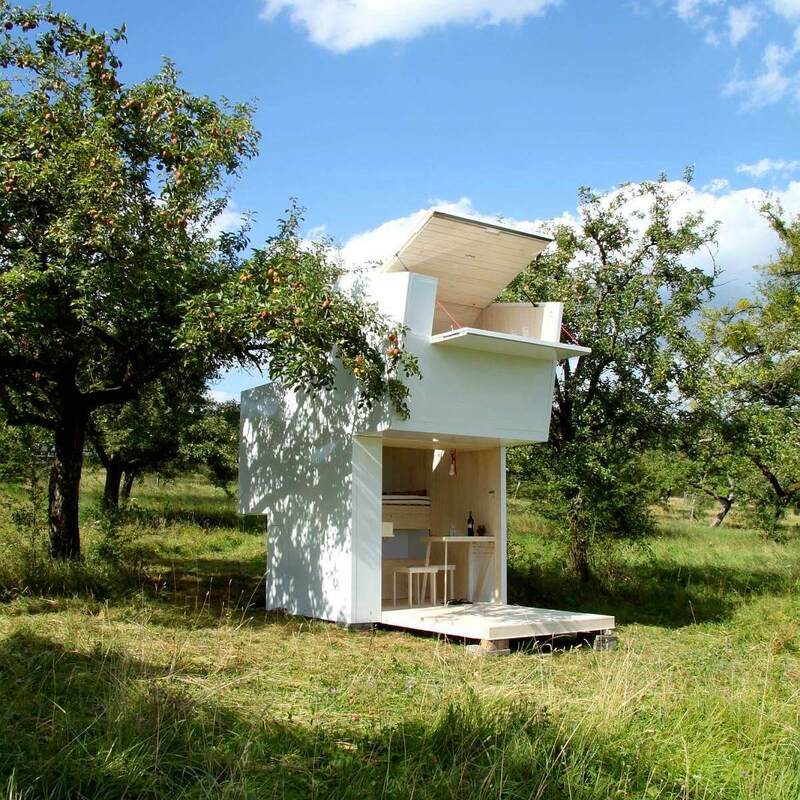 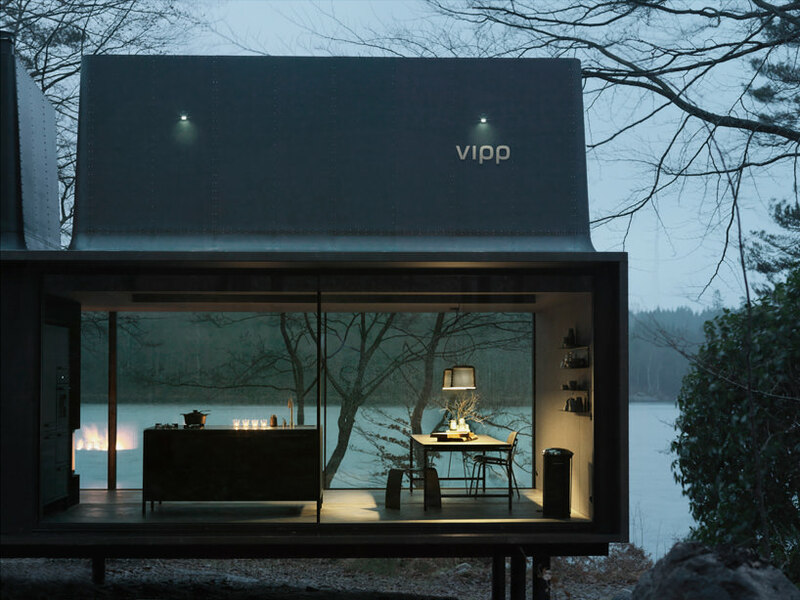 Vipp consider their prefabricated dwelling an ‘all inclusive’ offering; everything you see in these pictures, from the shelves to the bins, was designed by Vipp and is included in the package. 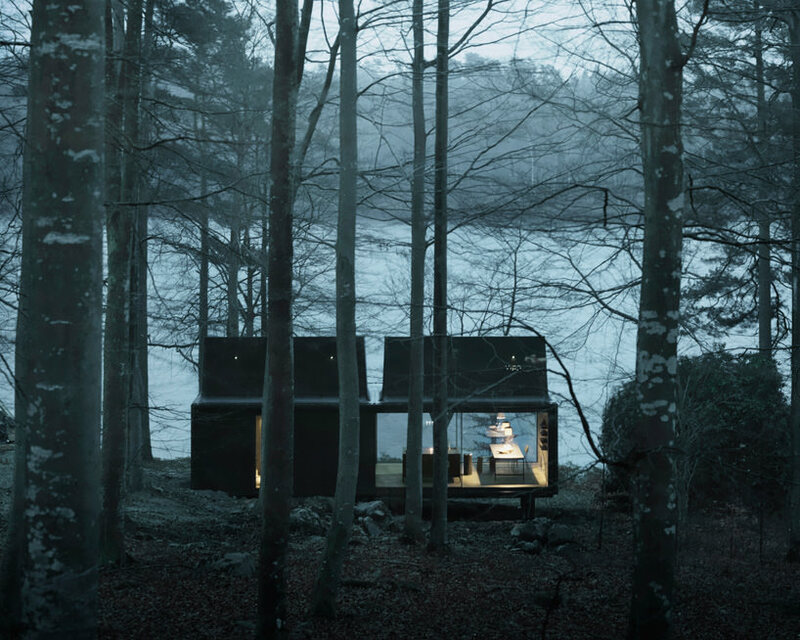 This is great for busy millionaires seeking a remote retreat — whom don’t care to get involved in its inception — but probably isn’t what most people are after. 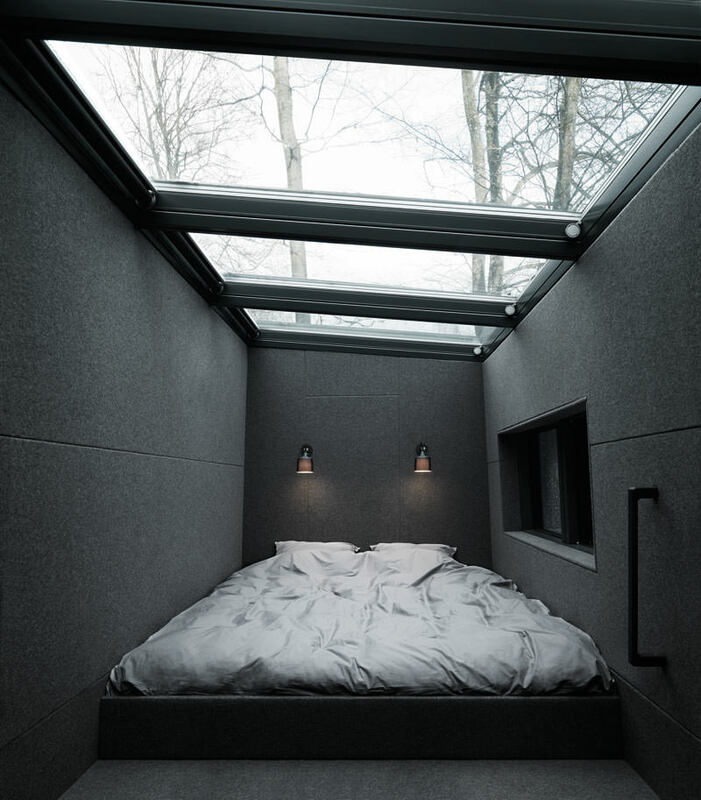 However Vipp certainly do seem to be targeting this upper-portion of the marketplace for prefabricated dwellings, with their shelter costing €485,000 / £585,000. 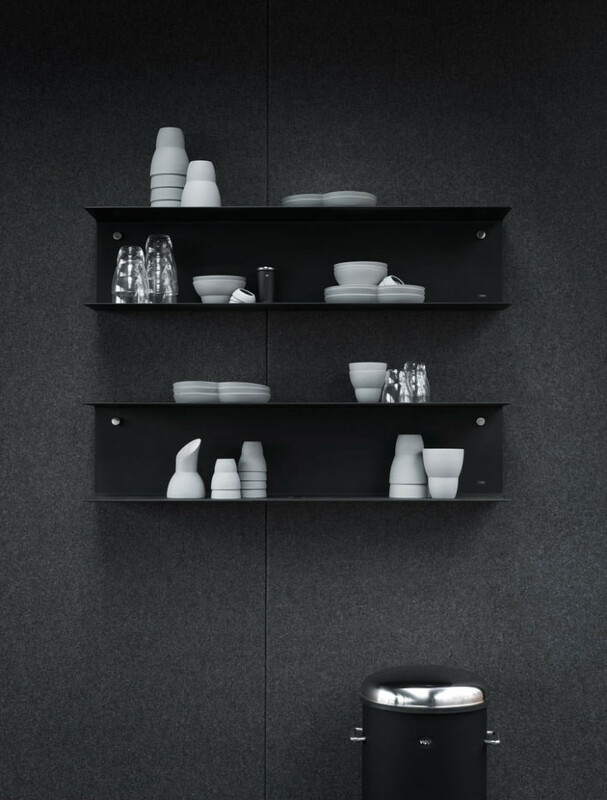 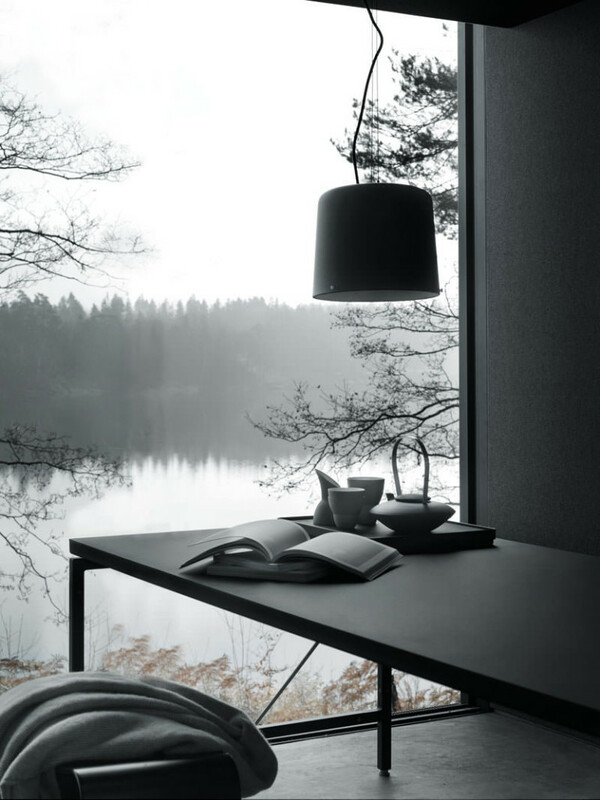 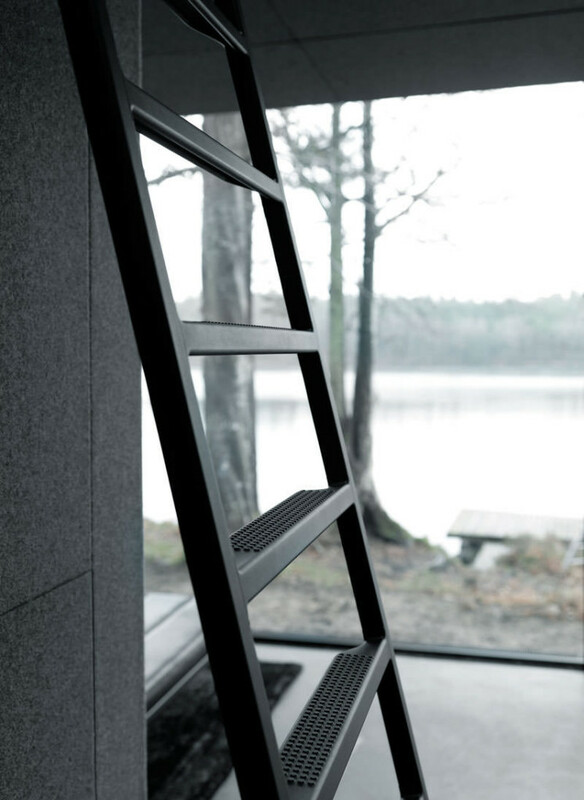 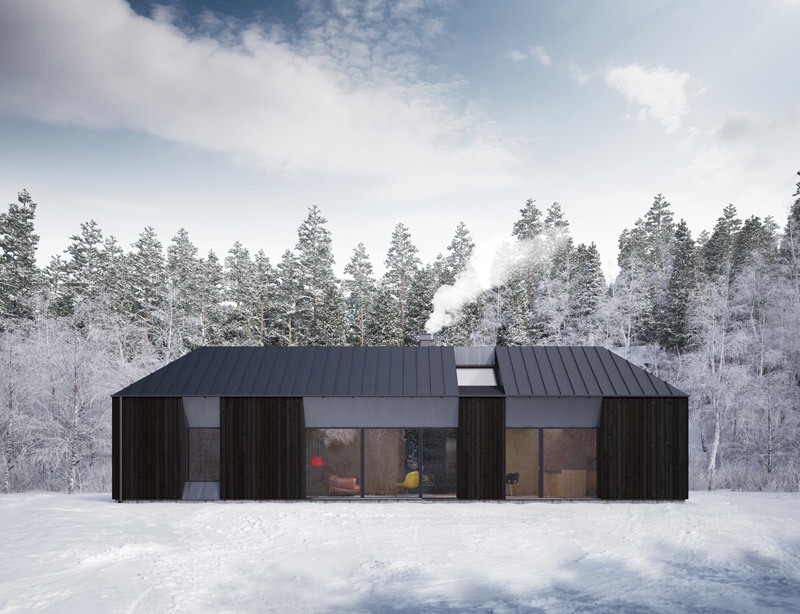 This is slightly more than Claesson Koivisto Rune’s Tind prefabricated house range, and considerably more than other more than other (admittedly more basic) offerings such as Ecospace studios which come in at about 10% of the price.